Shot at my cousin's garden in Ahmedabad. No PP except for contrast and a bit of light adjustment. Hello all! Got back last evening (Wed). Have a lot of catching up to do at work and here plus go through the pictures taken on the trip! Whew! whoa...mother nature at her finest....pretty! This is just stunning. Are the buds all one color, or do both show? A Perfect rose, perfectly captured. Beautiful creation of God. Thanks, Hershy. You did it again. 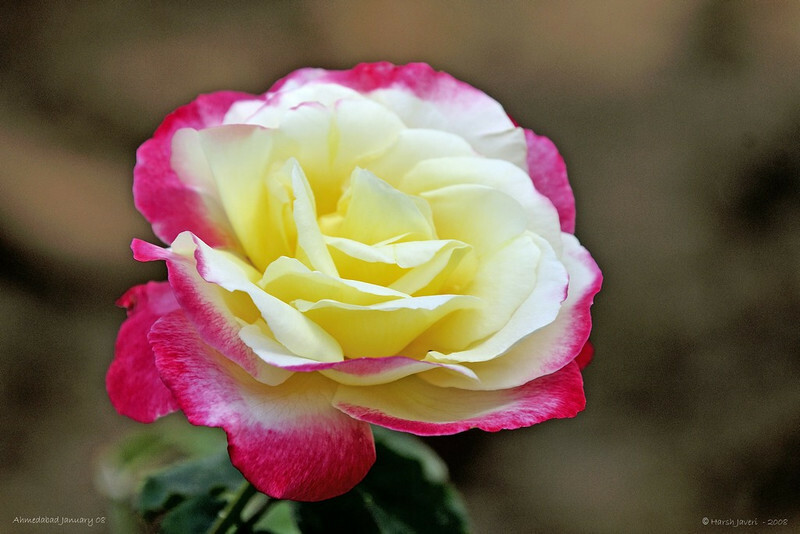 I would rate this as one of the best picture of a Rose!